This post will be a quick one, because I'm getting ready to go to Canberra, where I'll be delivering the third annual Emily's List Oration at the Shine Dome at 7pm this coming Friday, August 1. I've written the speech and made other necessary arrangements. The big question now is what to wear. What an admission! Having adapted myself to balmy Sydney weather for almost ten years, my wardrobe is bereft of woolly jumpers, and I've scoured the streets of Manly in vain looking for one. The other consideration is how to scrub up. A writer doesn't often appear in public, and this particular occasion is not a literary festival, where the casual garb of scribblers are almost de rigeur. All I can say now is I'll do my best. My predecessors have been Julia Gillard and Anne Summers, and they are, to a woman, hard acts to follow. As for the speech, all I can say for now is that there is, among other things, a Mexican connection. Hope those who can, will come. On a more serious note, I have been truly traumatised by developments in Gaza. Like everyone else, I'm praying for peace, and have been sharing posts on the situation, articles that I feel have contributed to my enlightenment on the conflict and its origins. I can't bear to look at the pictures. I've lost track of the number of petitions I've signed, the gist of most being that the blockade must be lifted and the occupation ended before there's any hope of peace. Unfortunately, this is exactly what the present Israeli government will never agree to. I also believe that the US must stop contributing to the horror by blocking censure of Israel in the UN and handing over 3 billion dollars annually to augment Israel's grossly inflated military power. The bald fact is that there can be no peace without justice. And by no stretch of anyone's imagination, outside of Netanyahu's and those of his supporters', inside Israel and without, is this a just war. We’ve been here before. Cast Lead, Pillars of Defence, Operation Sovereign Borders and so forth and so on, ad nauseum. Israel’s latest attack on Gaza is called something else but I’m not about to bother dredging it up from my memory. When did we start calling military operations by these catchy little Mad Ad sobriquets? I think it might have started in the Second World War - I’ve recently come across the designation Operation Torch for the Allied push from North Africa into Nazi-occupied Europe. Maybe it began there, but how it’s been corrupted since! In 2009, during the first Israeli attack on Gaza, I wrote an op-ed piece for the Sydney Morning Herald, voicing my horror at the bombing and ground invasion. It wasn’t my coming out piece – I had written a longer essay in 2006 during Israel’s bombing of Lebanon but was only able to get it published in a small but impressive little volume of essays put out by Finlay Lloyd Press. That was my personal response to Antony Lowenstein’s My Israel Question, itself a personal statement. In fact, it’s hard for a Jew to be anything but personal when considering Israel, and those who pretend otherwise come across as peculiarly academic and heartless, as if they’re parroting their lines – which, I’d maintain, they are. It’s the line that’s dragged out at any and every opportunity: that Israel is only defending its citizens, that the PLO-Hamas-Hezbollah - whoever - are merely terrorists, and we won't negotiate with them, that people should make a fuss about Saudi Arabia or the Taliban instead of picking on the region’s sole 'democracy', that Israel has ‘no partner for peace’ etc etc. It’s the sort of thing we hear from Israel’s official spokesman Mark Regev - again, ad nauseum. As if there were any equivalence between a Qassam rocket and the mega-powered bombs that rain down on Gaza. As for Gaza (blockaded since 2007, a prison of 1.5 million people), we let them have water and electricity – what else do they want? Since I am being personal, let me give you my bona fides. My maternal grandparents migrated to the United States at the turn of the last century, my grandmother from a small town in what is now Belarus, my grandfather from what was then Bessarabia – both at the time part of the tsar’s Russian empire. My father’s people came from the Habsburg empire. Jewish on both sides, I wouldn’t have had a prayer if these forebears of mine hadn’t have made those crucial journeys at the time they did instead of remaining where they were. Some of my relatives went to Palestine instead. They were involved in the Haganah, the Jewish defence force, and later made significant contributions to Israeli business and politics. Their descendants live there still. So, apart from one, possibly two, other relatives that I know of, all of my family escaped the Holocaust. By Australian measures, that fact detracts somewhat from my credentials. But it hasn’t stopped me from identifying strongly as a Jew, or prevented that identity from profoundly effecting my psychological make-up, which non-Jews may find difficult to understand. When I was writing the essay on Lowenstein’s book I was looking for a quote from Shaw – at least I think it was his but could never find it on the net – to the effect that suffering rarely ennobles its victims but only too often makes them inured to the suffering of others. Whatever its provenance, it seems particularly apt with respect to us Jews. Not all of us, of course, but enough to make the narrative outlined above stick. So much so that far too many among us close their eyes to what is actually going on. Can they really approve of the bombing of civilians, including so many children? Or the creation of refugee camps and turning Gaza into a prison? Or maintaining an apartheid regime on the West Bank, with different laws and even roads for Jews and Palestinians? And now, carrying out officially provoked and sanctioned pogroms? With fascist thugs tramping through the streets of Tel Aviv and Jerusalem calling out ‘Death to Arabs’ and beating up Israelis brave enough to demonstrate against the crimes of their government? Seizing a Palestinian youth, setting him alight and killing him? While police stand by? Have we completely forgotten Kishinev, or Kristallnacht? The Jewish tradition that I remain proud of is one of a passion for justice. But there has been nothing like justice operating in Palestine. Over a century of Zionist colonisation has left what once was the majority of its people with a mere 22 percent of the land, and much of that non-contiguous. Israel’s ‘democracy’ allows the descendants of that majority only second-class citizenship, based on ethnicity alone. Its Law of Return allows any Jewish person the right to settle in the country but prohibits Palestinians who had moved or fled during the Nakba from returning. All in the name of a Jewish state? One that disgraces the very core of our heritage? And what about our government – the Australian one? Too many of our politicians have been duchessed on this question. Provided free trips to Israel, bear-hugged by Netanyahu and his ministers, dazzled by the country’s technocratic and cultural achievements, given a full dose of the narrative. Why is it that they are unable to see that this is not a conflict between two equal sides, that Israel is anything but a ‘victim’, that the continued occupation is an obscenity, and that peace will never come unless Israel relents and ceases creating its ‘facts on the ground’? Since 2006 I have never made a secret of my belief that the founding of a state that privileges Jews was, however understandable in view of the Holocaust, a grave mistake, for Jews and Arabs alike. I’ve lost friends over this belief, but have made many more – Jews like me who are horrified at what is being conducted in our name. But until this latest barbaric slaughter, there was one step I had been unwilling to take. 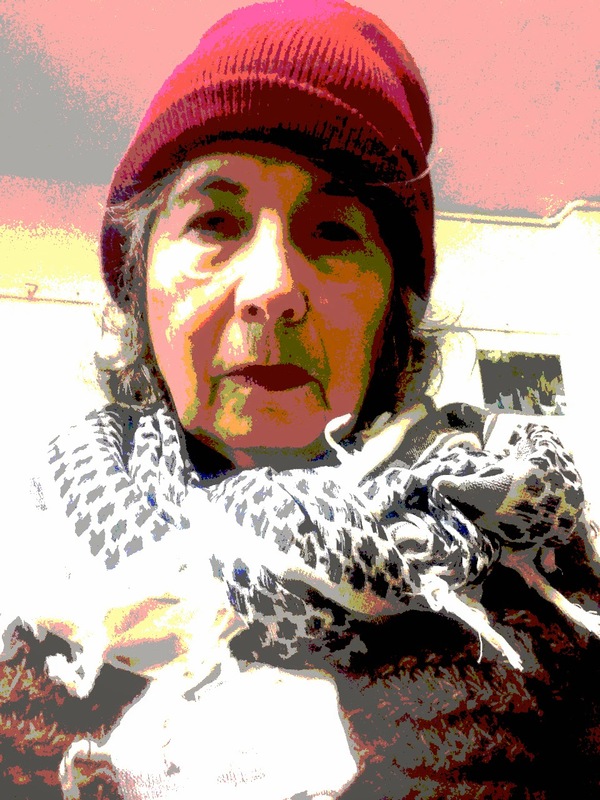 A few years ago a Lebanese friend gave me a black-and-white Palestinian scarf. I was touched by her gesture, but never could bring myself to wearing it in public. Now I do all the time.